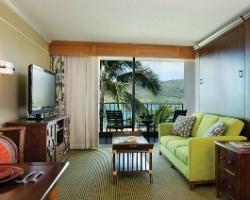 Beautiful *Marriott's Kauai Beach Club* stretches along a quarter-mile of the oceanfront landscape of Kalapaki Beach! 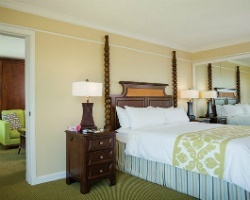 Designed to mirror a royal Hawaiian estate, the resort captures the elegance and style of Hawaii's last monarchy. 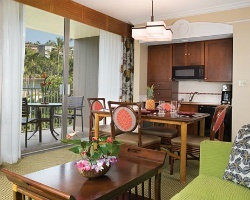 Luxurious amenities include a 26,000 square-foot pool rimmed with colonnades and waterfalls; relaxing outdoor whirlpools; delectable cuisine at four superb restaurants and beachfront lounges; the historical splendor of a Hawaiian traditional torch lighting; and the pleasures of a Polynesian revue. Adjoining the Beach Club are the fantastic Kauai Lagoons. Swim with brilliant and vibrant tropical fish, then play two 18-hole championship golf courses designed by Jack Nicklaus. Return to your villa to simply relax surrounded by the luxurious settings, service and amenities of a world-class property! 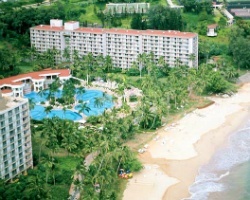 For more information about Marriott's Kauai Beach Club or other fabulous Marriott vacation locations, visit www.marriottvacationclub.com. *Interval International Premier Resort* Featuring a luxurious 1 bedroom, 2 bath lockout suite with oceanfront view that will accommodate 4 guests comfortably. Usage is annual in a floating, platinum season week. For more information or to make an offer, please submit the inquiry form.